Most flowers blossom for weeks on end. The late summer heather paints the hills purple for the space of a month; daffodils line the roads of the valleys for most of early spring; the gorse fills the air with the scent of its golden flowers for the length of the summer and beyond. There is plenty of time to catch sight of them all, as the year passes by; no shortage of opportunity to see the nature of Scotland in full and vivid bloom. Not all flowers are so generous with their time, however. The rarest of the flowers that grow in the forests of Scotland put forth their petals not for months or weeks or even days, but for a matter of hours only. There is no sure means to determine when they will appear, or when they will fade away. Only under the most particular of conditions will they blossom, only when a certain extraordinary stirring in the air serves to call them forth will they emerge from the forest floor. To catch them is a matter of fortune, of fate; many will live their whole lives in this country and glimpse them not even once. It was to take me thirty-four years of my life, before I first saw the frost-flowers bloom. They grow in the old woods, where the broken branches and trunks of decaying, ancient trees litter the forest floor. They grow only from the trees; only, in fact, from the death of the trees – it is from the decomposing remains of the dying woods that the frost-flowers sprout. In each old branch, each twisted mass of bark, each broken trunk lies moisture, hidden water lying within. It is the bloodstream of the processes of decomposition that give food to fungus and a dwelling place to the gnawing insects that slowly turn the trees once again to the soil from whence they came. This water is one of the ingredients; the second dwells in the air. At certain moments in the winter night, a hard frost will blow in upon woodland that has not already frozen; when the water still moves within the dead wood, but the chill breeze that falls upon it is already held tight in the hand of winter. At these moments, ice starts to form in the broken branches laid amidst the leaf litter, and expands. As it does so, it forms tiny cracks within the wood, cracks that fill with water which in turn freezes and expands. As more and more ice forms and grows within the tiny apertures of the fallen trees, it pushes the first thin tendrils of ice upwards and outwards into the air; and tiny threads of crystalline ice rise from the forest floor, twisting like wool up into the chill of the air. After a few hours, the threads have grown together, wrapping around one another into intricate, knotted shapes of shining white. When the dawn breaks, it spills the light of the sun over a forest floor now teeming with the white petals of glittering, crystalline roses; the frost-flowers, now in full bloom. 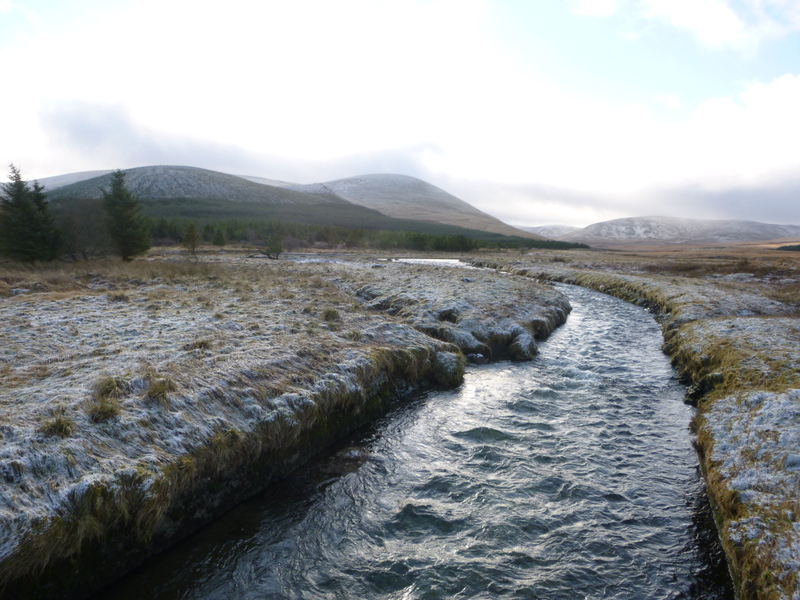 This particular journey I commenced in the heart of the Lowther Hills; a stretch of high country where rise the waters of the Clyde river that eventually flows down through the city of Glasgow to the sea. I had departed the city for a long walk through the winter, taking three days to hike across the heart of the hill country. The air was crisp and clear; stripped clean of any contamination by the intensity of the cold, scented only with the metallic tang of ice. 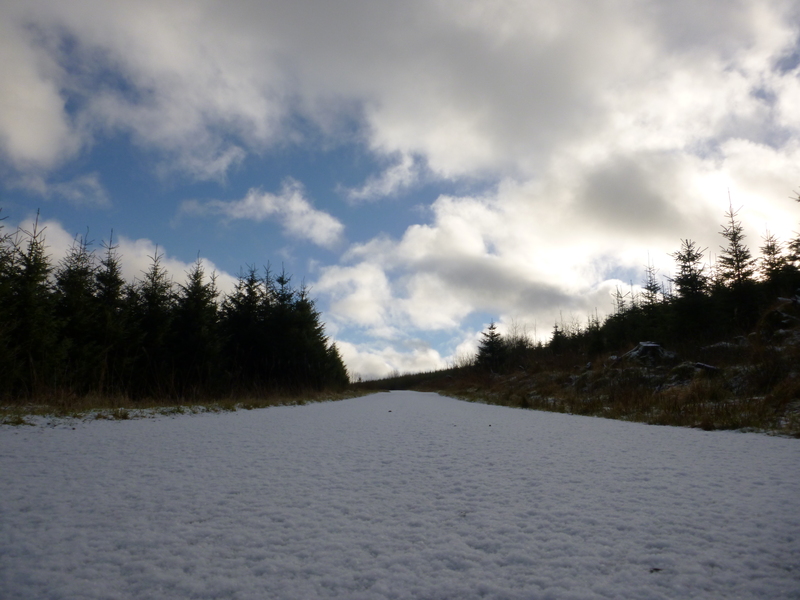 I followed tracks stained white by the frost through hills it had painted silver, my footsteps crunching piled-up ice crystals as I walked. 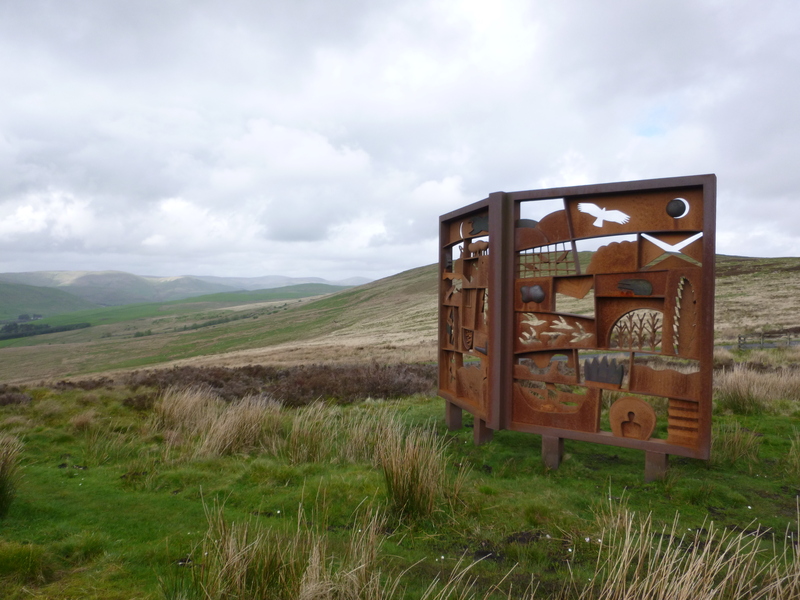 The first day I spent in traversing the rolling forms of the eastern Lowthers, the path passing rivers, lochs and expanses of broad moorland before descending into the deep green pine plantations on the fringes of the small town of Moffat. A warm bed in a small hostel by the edge of town received me for the night and spared me the long hours of winter darkness, before I walked again in the morning east across the Annan River, to the place where the dawn light glittered on the petals of the frost-flowers. I stopped to look at them, laying down in the crunching carpet of the forest floor to inspect the intricate traceries of pristine ice that spun webs of glass upon the forest floor, and then passed onwards, into the sunrise and the hills. The path I had followed up to this point was the Southern Upland Way; the most well-known of the routes through this region, that extends all the way from the shores of the North Sea near Edinburgh, to the western promontory of the Rhinns of Galloway in sight of Ireland’s coast. Now, on the morning of the second day I diverted off the track, slightly southwards, following a second, less well-trod track into the deep forests that lie around Eskdale. These are plantation woodlands; deep, pine-scented regiments of forest sown by man, that have come to clothe great reaches of the southern hills. They have submerged within them the remains of the pastoral culture that once flourished here; the herding clans of the border region, who pastured their cattle and sheep on what was in those days open moorland. 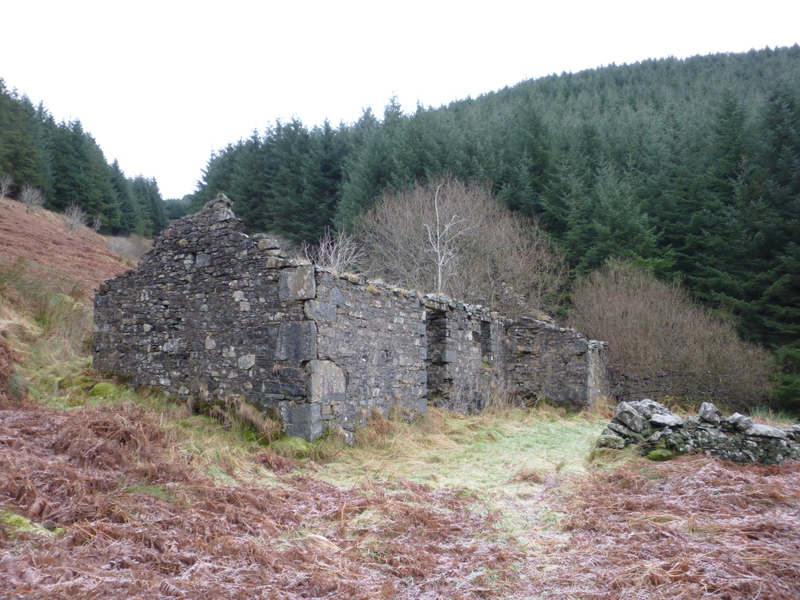 The ruins of their stone dwellings are encountered with regularity, encrusted with lichen and moss, the only fire now burning in their hearths the ruddy blaze of the bracken that sprouts within the empty walls. Older things than these are submerged within the forest. There are the ruins of the Celtic tribes, the ancestors of the border clans who practised a similar lifestyle to their successors, herding and raiding through the dark ages and beyond, back into the depths of prehistory before the coming of Rome. Their stones too lie here in numbers; far more overgrown than the others, covered in blankets of earth and moss. There are a great number, and a great variety; hillforts that ring the summits with looping ramparts of earth; mysterious linear earthworks that cut ridges through the forests for no apparent defensive purpose; the piled up stones of burial cairns erected in remote ages before even iron was ever worked on these islands. They sit now abandoned and unfrequented, hidden away on remote hillsides and in the depths of the forest, the fingerprints of peoples past who once played out the story of an extraordinary civilisation on these hillsides. Their halls are now silent; birdsong the only music here, where once the songs of the bards recounted the stories of the people. To this place, their stories are now lost – but some things lost are not necessarily gone forever. Seek in the right places, and they may yet be found. The old tribes of southern Scotland were part of a greater web of connected peoples; a race bound by language and a common, Celtic culture. When first encountered by the ‘civilised’ world they called themselves Prettanike; over time this name transformed into the word Brythoniaidd. It was from them that the name of the whole island of Britain ultimately derives; they were the first men, the aboriginal people of the cold hills and valleys, whose ancestors arrived here in the wake of the ice. Their race gave the world the philosophy of the druids; the priesthood that came to dominate the western portions of the Celtic world, who challenged the power of Rome and were numbered among the greatest of its enemies. They left behind artworks of great beauty, shaped in the swirling, circle-infused style of the La Tene; shields and swords and shining torcs the symbol of a mobile, warrior culture that counted both courage and beauty among the highest of virtues. Among the greatest of their achievements were achievements of language, the complex, strictly structured poems that preserve the remnants of their history and mythology to this day; the poems known as englynion. The Red Book of Hergest. 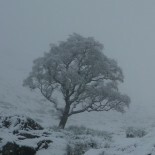 The White Book of Rhydderch. The Book of Llywarch the Old. The Book of Taliesin. The Book of Aneirin. The Black Book of Caerfyrddin. They sound like names pulled from the pages of fantasy; yet these are the ancient books that preserve the englynion verses, alongside prose epics of legend and a unique set of mnemonic tools called the Triads. The latter are triple units of bardic data that serve to recall the most important portions of the narratives of the Brythonic mythic imagination. They are all held now in the land of Wales, where much of their content was composed. It is in Wales that the culture of the Brythonic peoples is, today, best preserved; where a language descended from theirs is still spoken, and where a sense of connection to the ancient culture remains very much alive. Yet, much of the culture that they preserve did not originate within the geographical boundaries of modern Wales; it was instead born among the hills that the Welsh refer to as “Hen Ogledd”, “The Old North”. Of this Old North the hills of southern Scotland formed a key portion; this was the portion that lay north of the Roman Wall, where the last of the free tribes dwelt independent of the laws of empire. It was here, beyond the limits of the Roman world, that key portions of a culture were kept alive that was, in time, to outlive the empire itself, and to reinfuse great stretches of the island of Britain with the spirit of the ancient Celtic culture. When the empire fell, and the last of the legions returned over the narrow sea to the continent, there flowed from over the wall a chill, cold breath of the north. Tribal warbands marched south, warriors moving down to replace the Roman power with their own, to defend the land of the Brythonic peoples from the new enemies who threatened it from over the seas. The Anglian tribes who attacked the northeastern coasts of England were opposed by a dynasty of kings called the Coeling, after whose ancestor, Coel, the southwestern Scottish region of Kyle is named. In the same era Irish raiders colonised the western coasts of modern Wales, turning the land Gaelic for many long years; the kings who drove them out and made Wales itself the refuge for the Brythonic peoples it is today were the descendants of a warrior named Cunedda, who ventured south from lands now called Lothian and Tweeddale, that were then called Gododdin. These rulers were not simply war-leaders. They were the patrons of the Brythonic culture; the preservers of the heritage and dreams of a people the defence of which bestowed upon them their right to rule. The creators of this culture, the primary artists who articulated the Celtic vision in those dark ages, were the bards. The bards were a class of professional poets, musicians, storytellers and philosophers. Their stories are profoundly penetrated by the ancient traditions of the Brythonic Celts; the spirit of the pagan, druidic religion lies ever-present, just beneath the surface. The material they composed, and which is now partially preserved in the books previously listed, is our clearest remaining window into the world of the Old North; a world composed not of the clarity of history, but rather one tightly wrapped in the misty obscurity of the twilit Celtic mind. Historians hate the bards. They don’t do dates, a Christian innovation that had no place in a world where time runs in circles, where what is gone one day will return another, years hence. Their stories are not neat delineations of the progress of events, one following sequentially after another; rather, they are fragmented, frantic evocations of particular places and incidents, infused with the dreamtime spirit of mythology, rising out of context-less nothingness; devastatingly beautiful flowers blossoming out of an unknown otherworld. The impossible is a regular occurrence. Poets transform into fish and frogs and eagles and wolves. Kings play boardgames with the guide of the dead. Forests come to life, and fight in obedience to the command of enchanters. The future is not unwritten, but may be glimpsed in the prophetic genius of the seer. The laws of reality are subverted, and the real world bends knee to story. These are the voices that shaped the oldest stories of the southern upland hills I know so well, that I have travelled so extensively; these the footsteps that once crunched the frost on paths I now walked down in the quiet winter twilight. These are my stories, the stories of my ancestors and my people, the inheritance that was passed to me with the blood that flows in my veins, with the waters that nourished me as a child, with the scent of the empty spaces that calls me back every time I find myself trapped in the city. They have been lost to us for many long centuries – but they are not beyond retrieval. The ancient books are a part of the process of resurrection; seeds from which the forest may grow. Yet they are not the only component. The seeds need the soil, the earth to nurture them. The earth remains; the places of the compositions, round which they were woven, are alive in the high hills of the Old North. The pathway flows from the forest like a river of frost chasing toward the sea; a sea of white fields, crystalline stalks of long-dead summer growth glinting in an evening light that glows eerily white under the winter moon. The white trail curves into the valley of Eskdale, at a place where ruins are being rebuilt. Silent workers nod their greeting over unspeaking mouths; a vow of silence constraining them from speech as they go about their business. As I pass, signs strange and unexpected emerge, evocations of the pursuit of another world now set amid the woods and the moss. Stories are not just something to be told. They are something to be lived, if they are to have any value. The academic can point the way; to follow it is the journey. The track becomes a road; the road a gateway. I step beneath and step within, to a twilit driveway lined with white towers. 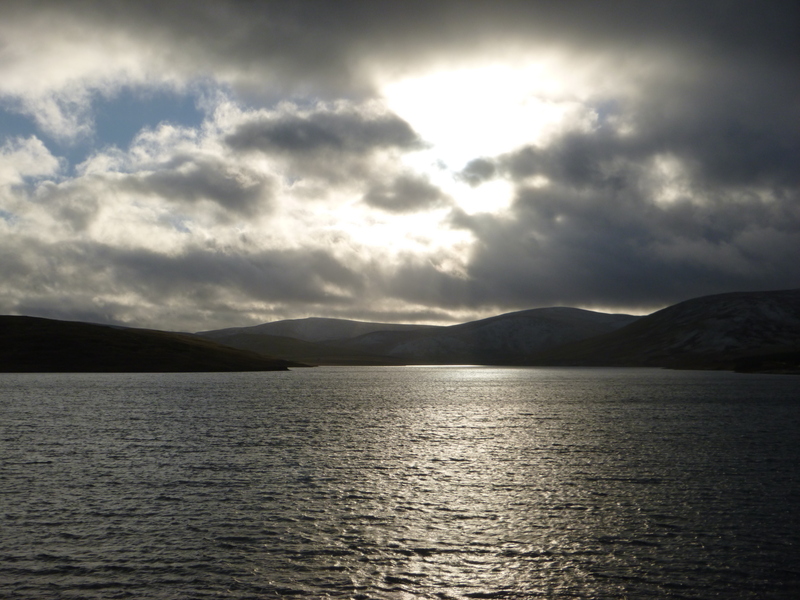 This is not the typical Scotland, though the elements that identify it as such still enswathe the place. Pine-trees rise all round, clothing the rolling hills; the moss and the lichen are ever-present, the garb draped upon stones and branches by the moistening hands of the rain and the mist. In this place, however, they are joined by other signs. Around the branches of the trees are entwined long strings of brightly-coloured cloth, each vivid square emblazoned with arcane writing and clean, linear drawings of beings drawn from the depths of legendary fantasy. The many-coloured pages of a vast book of mythology are tied to the trees; in three-dimensional form, the same mythic imagination has conjured up its spirits and scattered them in the shape of sculptures all around the grounds of the complex. The scent of incense stirs on the wind; the scent of distant lands is evoked in the signs of exoticity, and in the signification of the Other that they draw forth from the mind. This is the place called Kagyu Samye Ling. The name is in a language not of the Celtic isles, but of the Himalaya; Samye Ling is the ‘hill of Samye’, where the first Buddhist monastery was established in the land of Tibet. The people who bestowed it upon this place were the Kagyu order, a sect of Tibetan lamas who established a foundation here in the aftermath of the Chinese invasion of their homeland. 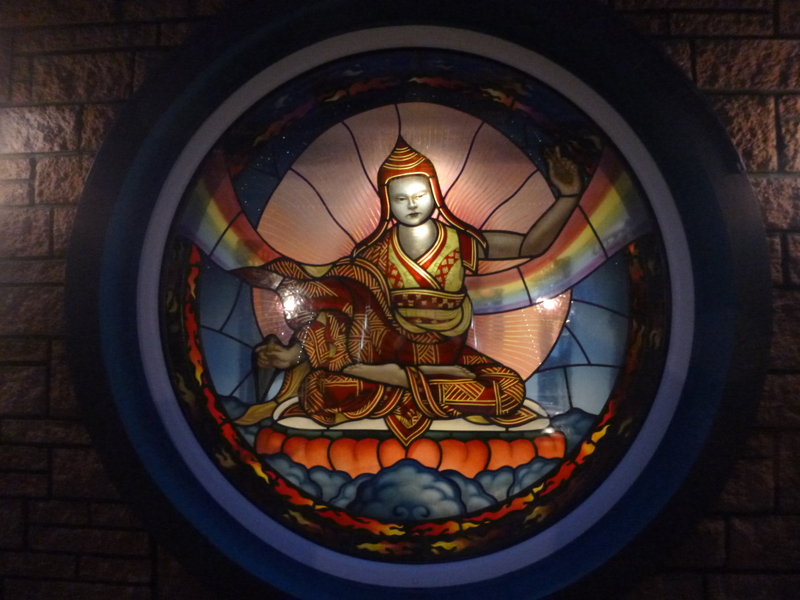 There are today many such Tibetan Buddhist centres scattered around the western world; of all of them, Kagyu Samye Ling was the first – the first place in Europe, Australasia or the Americas to house a community of Tibetan monks practicing their ancient teaching. From small beginnings it has grown considerably, and is now one of the largest such complexes in Europe; the whole establishment stretches for some acres, taking in dormitories, farm buildings, a cafeteria, shop, gardens, subsidiary shrines and, at the centre of it all, an immense prayer hall. It is now a centre of religion the equal of many in the Himalayas, and something singular and special here in Scotland. 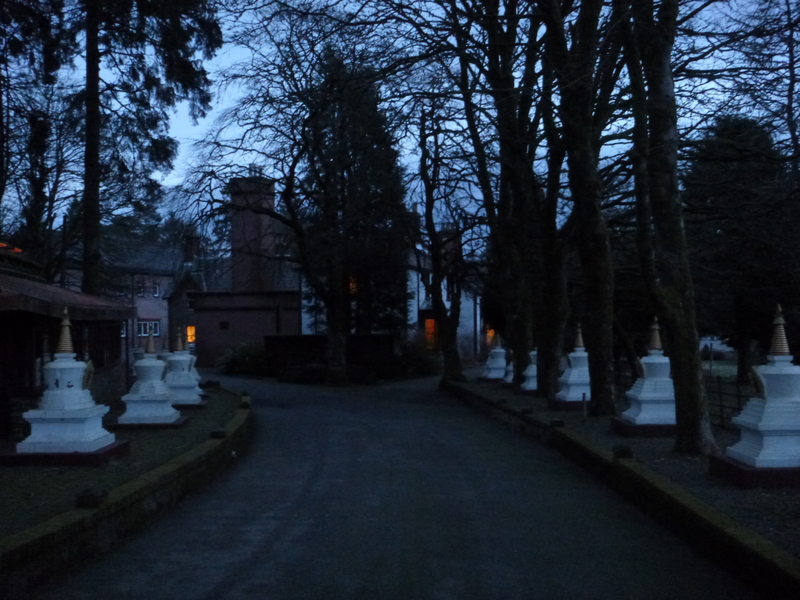 I walked into Samye Ling as the light was fading. The monks are happy to give shelter to the traveller who treats their place with respect and reverence, and will let a wanderer rent a warm bed for the night in the halls they maintain for their students. 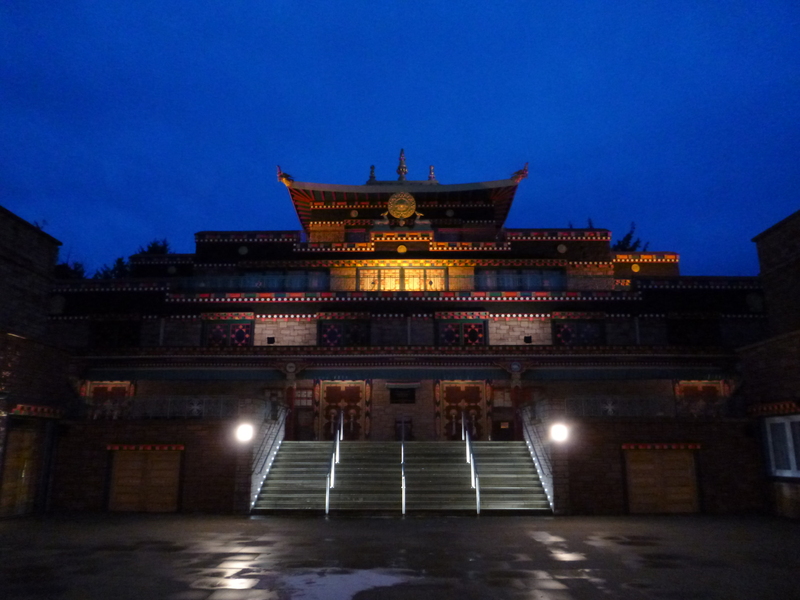 I deposited my rucksack, cleaned off the sweat of the journey, and spent the evening roaming the frosty grounds, before sitting a while with the monks in their prayer hall, listening to their sonorous chants of devotion reverberate around the dim-lit palace of contemplation. The first connection lies in its parallels with the monasteries of the Celtic Christians. The pagan artworks – the gilded icons, the carved stones and the cloths that once enswathed the holy groves – were largely destroyed by the rise of Christianity. Some of their stylistic content, however, was preserved by the monasteries; it is in the elaborate carved crosses they raised and in the ornate manuscripts they illuminated that the twisting, knotted artwork of the Celtic world is today best preserved. The remains of the monastic culture are one of our key windows into the world of the ancient Celts, a looking-glass, if a distorted one, into the complex, intricate material culture of the people they converted. The Christian monasteries were also, in the era of their arrival, just as exotic as the Buddhist foundation seems today; just as redolent of a distant, advanced civilisation imbued with profound ancient wisdom. In our astonishment at the presence of Samye Ling, in our reactions to its colour, its foreign shapes and its alien, unfamiliar language we find an exact parallel to the sense of wonder with which the first Christian establishments would have been met. In the space between us and the Other, we rekindle a portion of the state of mind that prevailed once in these hills, when the bardic culture was at its height. The second connection lies in the deep lineage of the Kagyu school of Buddhism. The Kagyu, for all the panoply of Tibetan monasticism that now surrounds them, arose as a reaction against monastic culture. Theirs was a movement that sought to renew the spirit of philosophical inquiry, of meditative practice that had become somewhat buried under the layers of monastic ritual Indian Buddhism had accumulated. Their first master was Tilopa, a fisherman from the jungle. He passed on his teachings to Naropa, a professor of one of the great Buddhist universities of Asia who had abandoned his comfortable home among the ivory towers to seek a more direct understanding of the world. Naropa passed the teachings to Marpa, a Tibetan traveller who returned across the Himalayas, bearing the Kagyu systems of thought to the Tibetan plateau. There, he was to impart them to a fellow Tibetan named Milarepa. Milarepa is one of the major figures of Tibetan Buddhism. His story tells how in his youth he and his mother were deprived of their rightful inheritance by his aunt and uncle. At his mother’s instigation, he left home to learn black magic; succeeding in his pursuit, he returned and killed the usurpers with a supernatural hailstorm – a storm that claimed thirty-five lives in the process. After some time, Milarepa began to feel guilt for the crimes he had committed, and opted to renounce the dark teachings he had practiced up until then. After substantial effort, he persuaded Marpa to accept him as a pupil and, after progressing a long way under his tutelage, he retired to a cave to live out his days in contemplation. It was through his pupils that the teaching-lineage of the Kagyu order was transmitted; he is one of the spiritual forefathers of the order that raised the monastery in Eskdale. 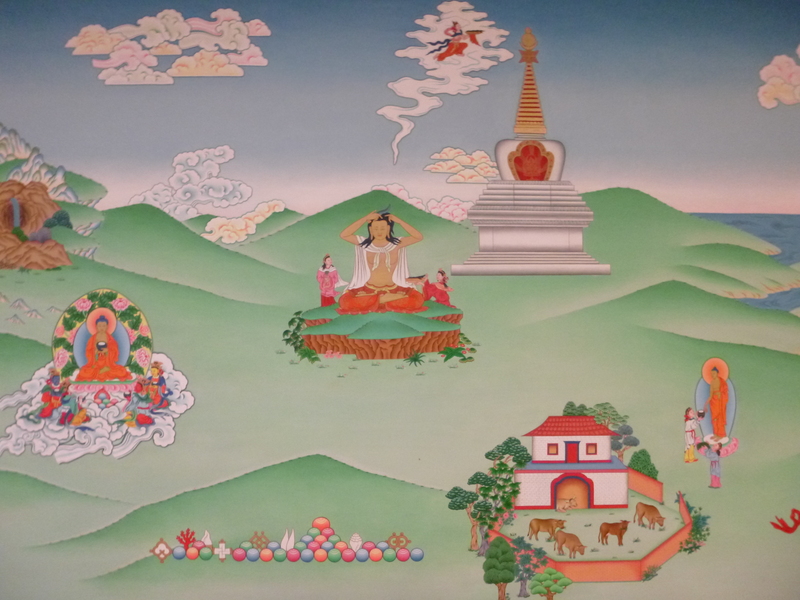 Milarepa’s image sits painted on the walls of Samye Ling today, an image drawn in the canonical style of Tibet, projected onto a background of green, rolling hills that evoke the southern uplands of Scotland. His place in this story lies in the method of his meditations, and in the works to which they gave birth. The place that Milarepa chose for his contemplations was a solitary one; a cave in the mountains. He travelled into the wild to seek distance from the human race; unlike the majority of Buddhist monks, who congregate in great packs housed within four walls, Milarepa sought his enlightenment in the midst of voiceless nature. To this nature, he was to give a voice; whilst immersed in meditative trance states, he composed songs expounded the essence of his teachings. Altered states of consciousness, achieved in the solitary places of the wilderness, were the wellspring of his creative method. These songs are many in number and popular to this day in Tibet; vernacular evocations of the baroque elaborations of Sanskritic philosophy, that helped make that abstruse creed accessible to the populace at large. In this, the life of Milarepa bears a not-inconsiderable similarity to that of the bards of the Celts; they who composed the songs that form the roots of the mythology of these hills. The method of bardic composition was one derived from an experience of the self outwith the ordinary; that grew from contact with otherworlds perceived through altered states of mind, in the emptiness of the wild. The power that composed was called the awen; an extra-personal muse that came into the recipient, the awenydd, from the spirit-world. It was born of extremity, and brought not simply the gift of words, but also the gift of prophecy. It is, even today, a legend in Wales that one who sleeps on the spine of the rugged mountain of Cadair Idris will receive one of three gifts; they will die, go mad, or find that they have become a poet. In the hills of Scotland similar legends survive; one of the latest, that of a man named Thomas of Ercildoune, who lay down to sleep on the Eildon Hills and was transported into an otherworld of rivers of blood and splendid feasts to make love to the queen of the spirits that dwelt there. On returning, he found he was possessed of the gift of calling up prophetic verse; he grew famous, and is remembered now by the name of Thomas the Rhymer. Such behaviour may seem like lunacy; to anyone familiar with the culture of the Himalayan region, however, the description will seem familiar. This is a process near identical to the workings of the gurs of Himachal or the oracles of Tibet; a process recalled in the compositional madness of Milarepa, or of the Sufi poets of the Middle East. This is ‘ecstatic’ poetry; ecstatic both in the conventional sense of some mind-expanding fulfillment, and in the original sense also, ek-stasis – “outside the self”. The experiments in automatic writing of the surrealists partake of some measure of this notion; a spirit that lies at the root of western poetry, in ancient Greece, where the Muses were the source of artistic ideas. Inspiration, our very word for the idea of creation means at its root this; the coming in of the spirit. In the presence of the lineage of Milarepa in the hills of southern Scotland, we find the return of the ecstatic ideal to this land; a place that once knew it well, but has in time forgotten. There is a third contribution that Samye Ling has to make to this journey, or journeys, and to the project that is arising from them. This contribution is one of sheer aesthetic beauty; of the shaping in the midst of a landscape of ruin and loss, of something rising and resurgent. The hills of Scotland have been emptying for generations, the people departing and taking with them the eyes that beheld the places of the legends, the voices that sang them. Clearances, plantations, wars and invasions; all served to enforce the forgetfulness of the hills, to banish the memory of what once was here. 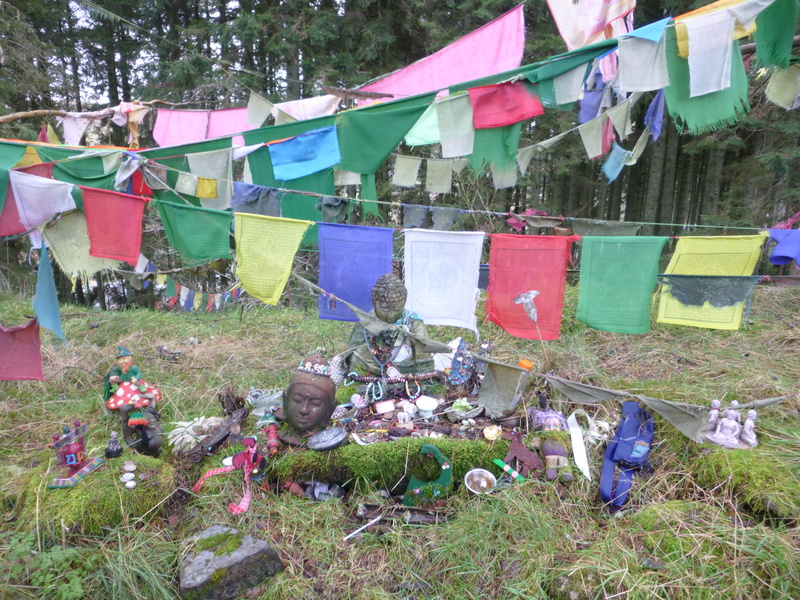 Around Samye, by contrast, an incoming spirit has breathed new life into the place and, in embracing elements of the old, has served to resurrect them in a fashion wonderful to see. I arose in the morning, and breakfasted with community in their hall of repast, under murals of Milarepa and the saints of far mountain chains. This done, I departed, outwards and onwards, from the heart of the exotic back into the land of the ancient. It was not to take me long to run across the Old North again. 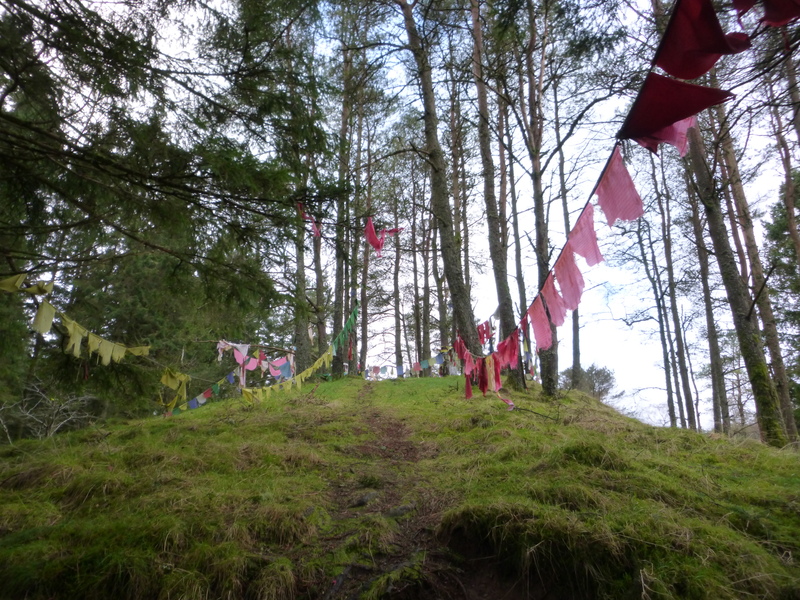 On the southern edge of Samye Ling there rises a small hillock, clothed in old scots pine; one of the primeval trees that once wooded this region. Pausing by the roadside in the cool morning air, I dropped my bag by the fence and chose to climb it. As I ascended, I knew I was walking into something special. 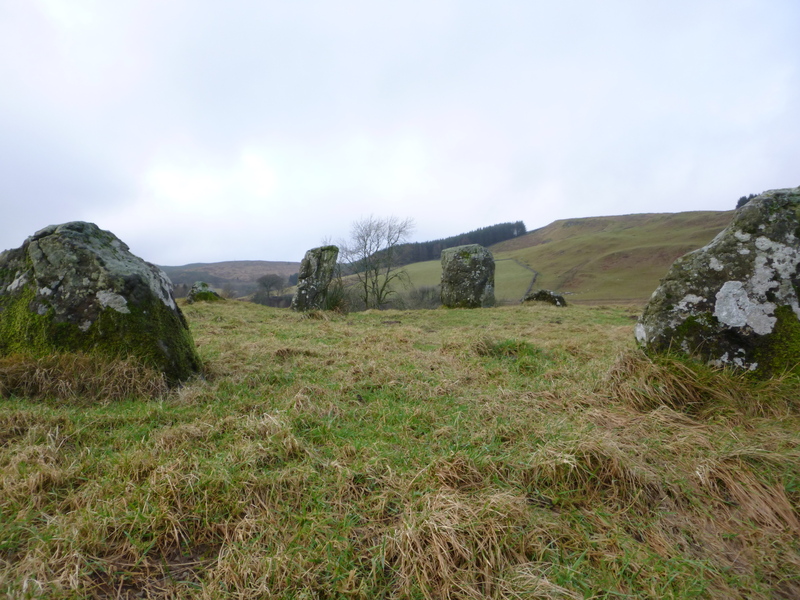 There are scattered around Scotland still a last few holy sites that retain some living portion of the old world of Celtic mythology and religion. 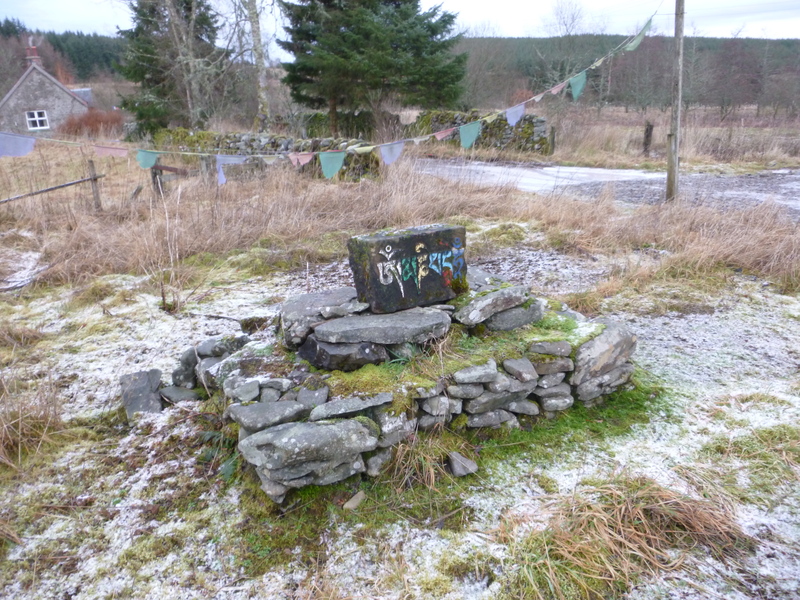 The Clootie Well at Munlochy, the Isle Maree; the Doon Hill at Aberfoyle. In these places, there are trees wrapped in brightly coloured cloth, branches studded with coins; little statues, and memorials to the dead commemorated in places folk still hold in some measure sacred. Outside Samye, this little hillock forms another such, mingled with the symbology of Buddhism; what the anthropologists call a syncretic construct, a fusion of the Celtic with the Tibetan, in a form both original and ancient. Wrapped around the trees hang prayer flags, strings of coloured cloth recalling the colours that adorn the trees of the old groves. If the antiquity of tradition is any guide, this is the same form of decoration that once clothed the groves of the druids; a vivid spectacle of the combination of man and nature entwined. Laid out amongst the trees are little altars surrounded by tiny effigies; piles of coins and little keep-sakes, pieces of recollection set in this place to make it something forever special. On the summit a little open space lies in the centre, a grove in the truest sense, where I sat for a while in the midst of it all. The wind fluttered the prayer-flags, and stirring the branches with its cool breath. For all the drama of the gilded prayer hall, to me, this was and remains the most powerful of the sights of Samye Ling; a holy grove risen again in the Old North. Beyond Samye, the road carried me south. I walked on down Eskdale, through a valley surrounded by thick green forests of pine plantings, scattered with the ruins of old Celtic settlements. The summits are clad thickly with hillforts hereabouts; hilltops reaching towards the heavens clad with fortresses that were at once temples, the castles in the sky of the ancient inhabitants. After some miles, crossing the river, I came to one final set of special sites; a place of greater antiquity than any other I had passed on my way. Where Samye brings innovation, this place reaches back to the uttermost depths of history, to a time before even metal was worked by man. 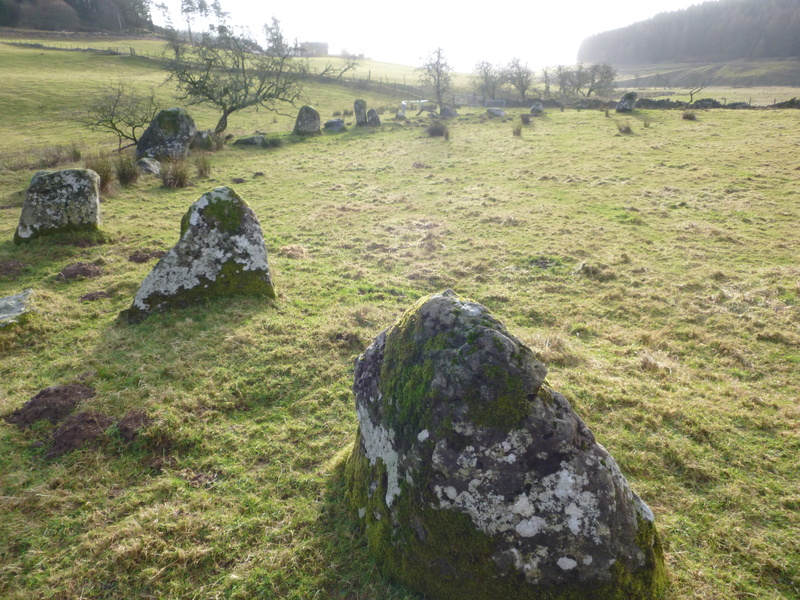 These are the stone circles of Eskdale. I climbed over the fence into fields to reach them. They stand by the banks of the river; such is their antiquity the the slow shifting of the river over centuries has claimed some of the stones, and one is now a half-moon arc where once it was whole. The other is intact, its original form clear and distinct; in both, however, more than sufficient of the great monumental stones remain to preserve the spirit of the place. They remain redolent of the sacred, charged with the enormity of an antiquity that reaches back thousands of years. 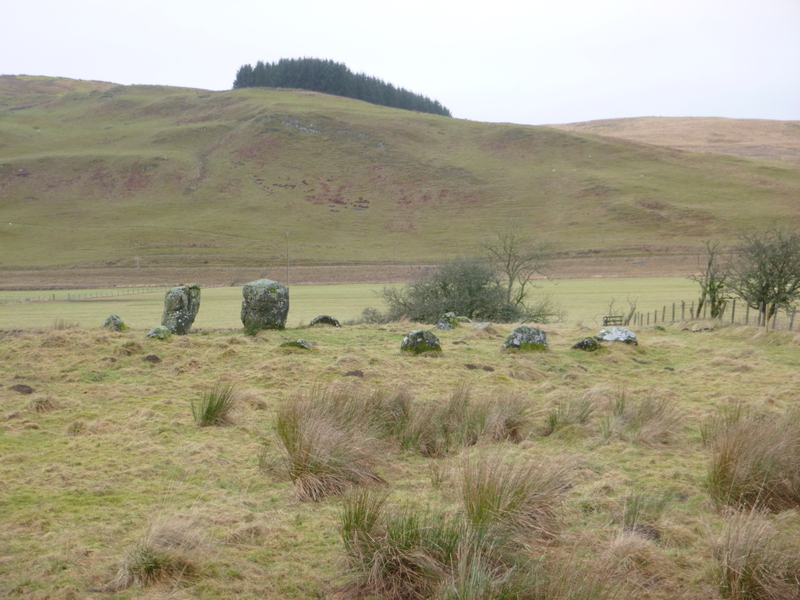 Their names are the Leaping Stones and the Girdle Stones; legends still attach to them, marking them as, even in recent centuries, the sites of night-time festivities of a character distinctly un-Christian. Walking between the stones is a strange experience. The sheer number of years that have passed since they were first hauled erect by the hands of my stone-age ancestors seems to leave traces; the knowledge that rites of the most sacred and profane nature have been performed here times beyond counting leaves them as a palimpsest upon the fields, a structure upon which the interpretations of the sacred of unnumbered generations have been inscribed, and may be inscribed still. They have outlasted everyone; tribes and Romans and tribes again, Christianity and industry and all the improvements of the modern world. They are the architecture of eternity. The circle is the eternal symbol; the symbol of the cycle, and of the return. It is a symbol that imbues the art and the legend of the Celts, from twisting wheels of knotwork to the prophecies of the resurrection of the Brythonic peoples that formed the well-spring of so much of their culture. It is an architecture upon which, today I would wish to erect the foundations of this project; the notion of the return, or completing the circle, and seeing some part of the old things that dwelt here once rise again. I would call up the ghosts, and give them back to the hills that bore them. The roots of the project are three; three journeys. The journey into the hills, into the places that gave birth to the legends, to seek out the great sites of this land and weave words around them. The journey into the legends, into the books that preserve the old stories and that teach us how they were fashioned. The journey into the mind, into an attempt to recall some portion of the creative spirit of the awen that once gave voice to the spirit of this place. A chase after the ecstasy of the imagination, played out amidst the high, dark hills of the Old North. The branches of the project are three; three stories, three constructions of words to house the spirit. The story of the people of the past, pulled from the pages of the bardic triads and given voice as a work of fiction. The story of the experience of chasing these things, of bringing into the here-and-now the otherworld of the there-and-then. The story told by the awen, when and if it comes. The fruits of the story will be three. A trilogy of historical novels, bringing to life the tales of the bards of Hen Ogledd. A piece of travel-writing, detailing the various adventures encountered while chasing their ghosts. A piece of unknown character and origin, set within a restoration of the illuminated manuscript tradition of the Celtic world, enervated with the vast panoply of technology the digital era places at our fingertips. The swirling patterns of Celtic legend, clothed in electric lightning and cast into the ether of the internet. If it succeeds, it will become a circle; a cyclical return of the old world into the new. It will be a resurrection, clothing the hills with a web of narrative drawn from the depths of their own past. 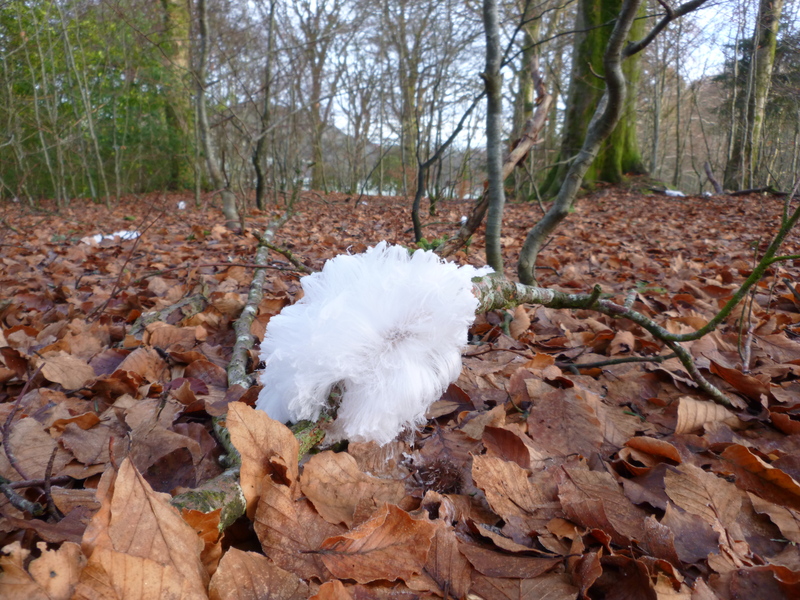 It will be a frost-flower; breathing just the right breath onto the remains of the forest to call forth from within something beautiful; a crystalline, shining thing rising from the death of the past. I do not possess the capacity to do all this on my own. I have already two collaborators. One is a photographer of no little talent, whose work you can take a look at by clicking here. The other is a historian with an encyclopaedic brain and a voracious appetite for grasping the detail of the past. I’m looking for a third; I need an artist who can combine the complex structures of Celtic art with the modern disciplines of digital design. If any of this outpouring of imagery and history has fired your imagination, and you possess such a combination of talents, I’d be very pleased to hear from you. The beasts in whose wild cries all Scotland’s destiny thrills. Any connections with the wrapping of the self in bloody hide to gain prophecy? In terms of the awen yes – you’re describing a Gaelic version of the same process of acquiring the poetic/prophetic spirit. Are bloody hides something I personally intend to experiment with – no!!! The power of the circle, and the return? I am so glad I thought to “circle back” to your blog to check for this post! The day it appeared in my mailbox, I clicked on it and received a “Not Found” message. For a day or so, I checked back to no avail. (Perhaps you were editing?) In any case, today I remembered it, came back, and there it was. If I had missed it entirely, what a loss it would have been with the beautiful descriptions of the countryside, the old stories, and the amazing surprise of the Tibetan center! It was like I had slowly opened a little present, and out popped a gift just for me! (Well, I know that is not exactly true, but of course it pleased me greatly.) I wish I had either of the skills you are seeking in a collaborator, but as I do not, I will have to await the final product. Again, nice to see you back writing in this space. Thanks for your follow of my blog and, in so doing, introducing me to yours. I like what I see and read! This post is wonderful: “only when a certain extraordinary stirring in the air serves to call them forth will they emerge from the forest floor.” Wow 🙂 The emergence of Tibetans was kind of a frost flower in this telling. I look forward to your upcoming publication! Until I read this I was kinda sketchy about Bards…I have a book coming (don’t read my blog – too wooly) soon where there seems to be a Bard of sorts rumbling around. Thanks! There’s a lot of sketchiness in general about bards; no-one’s entirely sure EXACTLY what they were up to. The possibilities are all rather intriguing, though! There is much to see and comment on in this area you describe, I enjoyed reading your thoughts on it… though you missed something enormous on this walk. It is the reason why at least one of the things you mention is where it is. Most people cannot see it because of its enormous size. Best seen in the morning or evening. If you get as far as the G Stanes or L Stanes you have gone too far. I know only one other person who has visited it (though it is fairly certain Agricola visited it – but THAT was a looong time ago). Christopher Murray Grieve’s 1930 publication in synthetic scots was named after one in a less linear form. Chris would have killed you if you’d described him as “the greatest oof the 20th century poets of the southern uplands”. He was of course simply the greatest poet of the 20th century and he saw himself as international – not provincial. Many of us would say interplanetary or even Universal. He never wrote in Scots after 1930 really. Did you know the man who dug MacDiarmid’s outdoor lavvie trench at Brownsbank was the first person to ever say “May The Force be with you” in a movie? MacDiarmid had General Dodonna dig his shunkie trench! Hmmm. I do like a riddle; will think on that…. 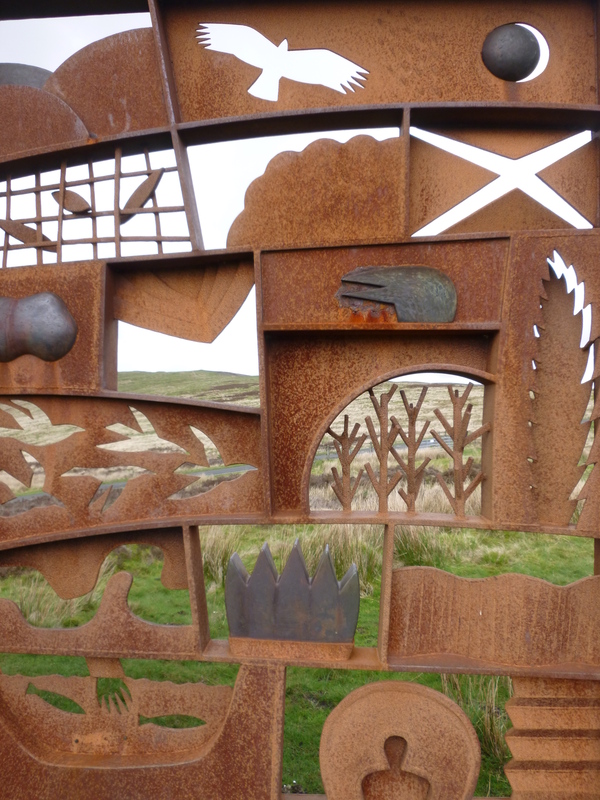 To Circumjack Cencrastus, or the Curly Snake (1930) was MacDiarmid’s last major poem to make extensive use of Scots. MacDiarmid was born in nearby Langholm. However it is not a curly snake I was referring to. It is a long straight one. Samye Ling and Agricola were both drawn to it. Near the snake’s head Rebecca H J found the only upstanding example in the world of what is missing here. This entry was posted on October 29, 2015 by williamayoung in Uncategorized and tagged Art, Buddhism, Celtic, Hiking, Literature, Mythology.